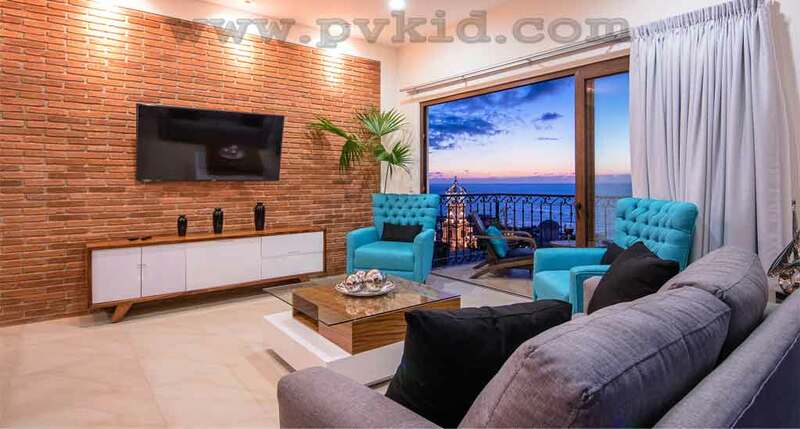 Views views and more views this Condo in Gringo Gulch offers an authentic Mexican experience, from the chic Mexican décor to the coble stone streets, stunning views of the Guadalupe Cathedral and the Pacific in the background. 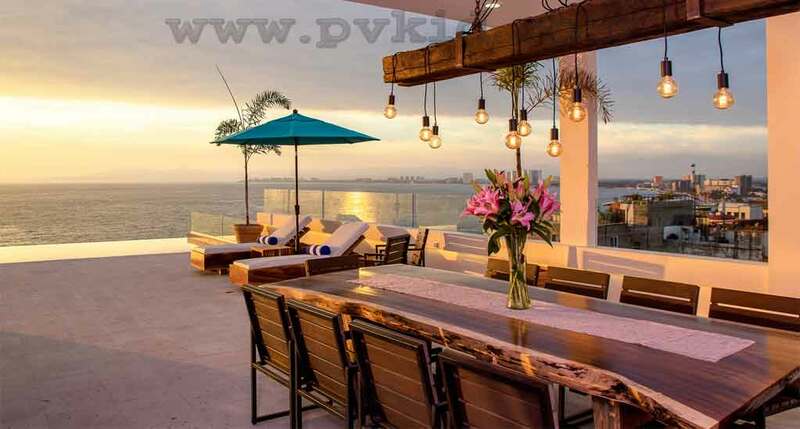 This condo has an incredible view of the bay. 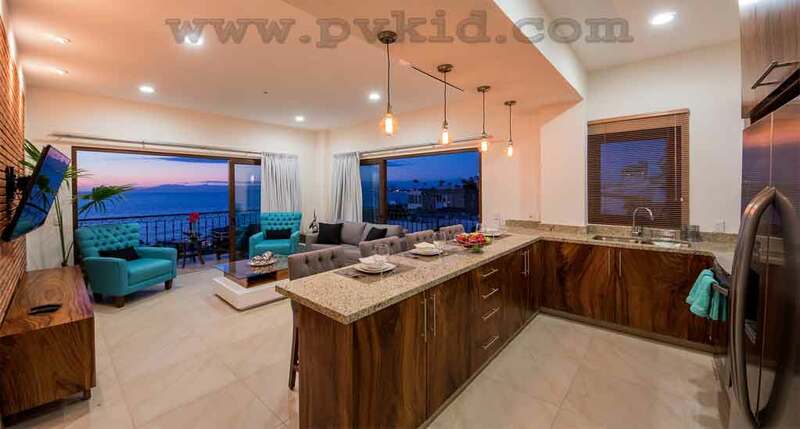 Kitchen fully equipped with Gas stove, refrigerator, microwave, coffee maker, blender, toaster, pots & pans, plates and silver ware. 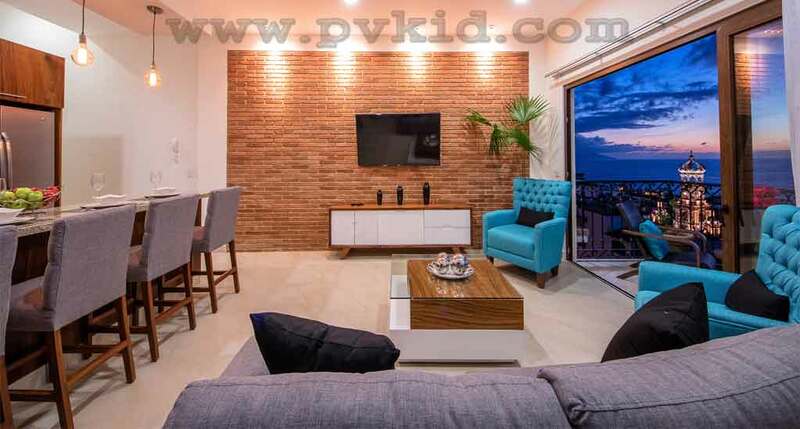 Android TV with many English speaking stations. 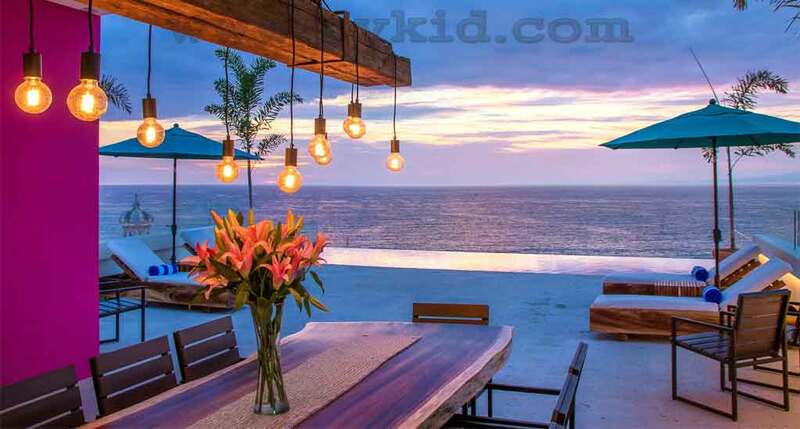 Free High Speed wifi. 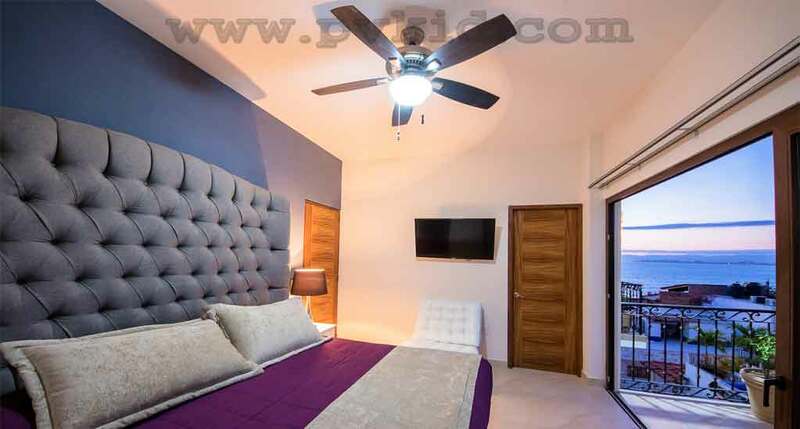 King Size bed in Master and queen size in second bedroom. 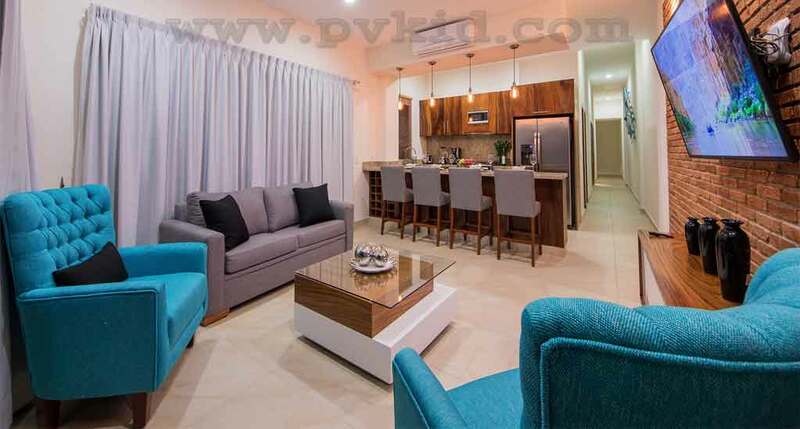 The apartment complex was opened in 2017, offering brand new and top of the line furnishings and appliances. 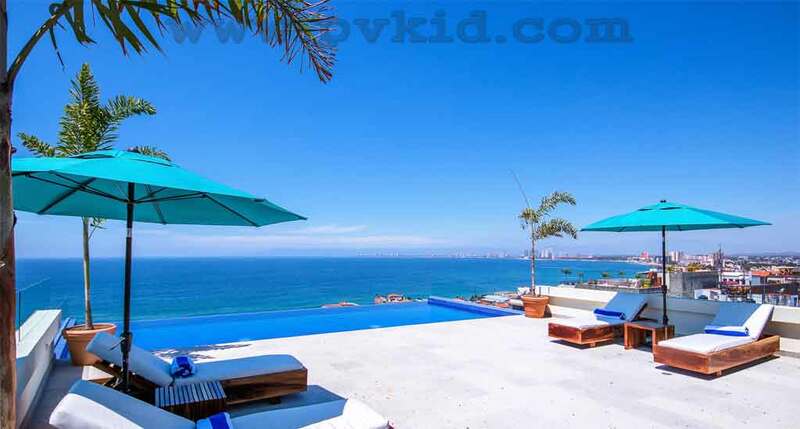 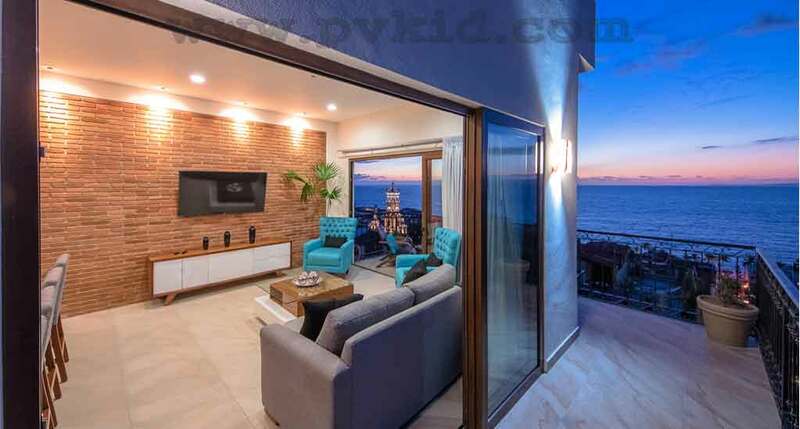 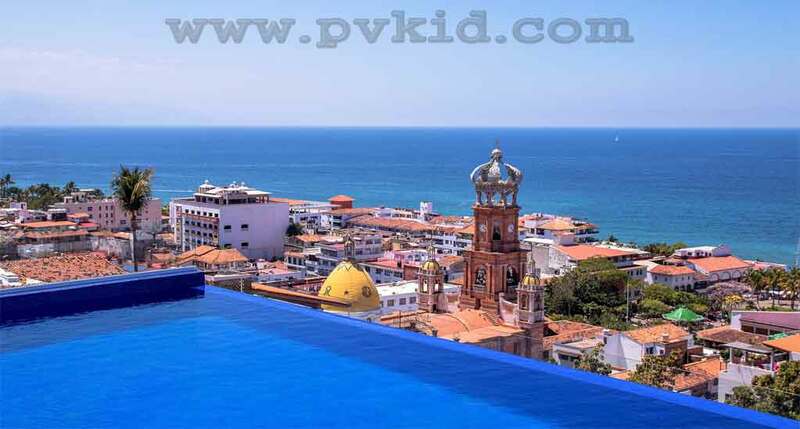 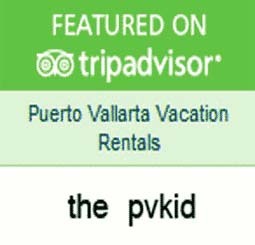 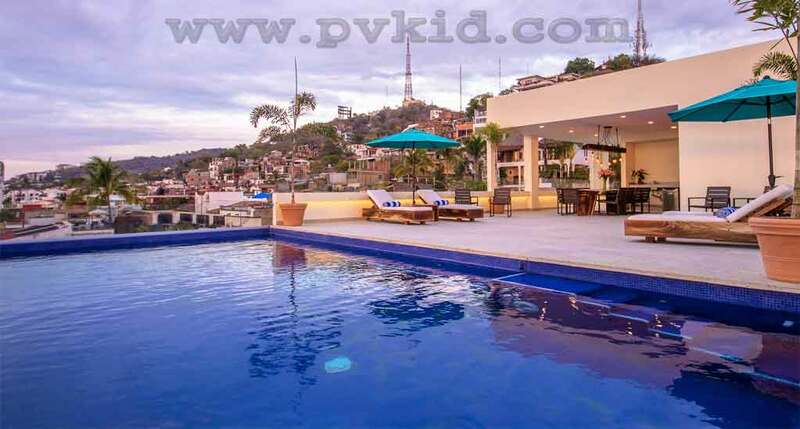 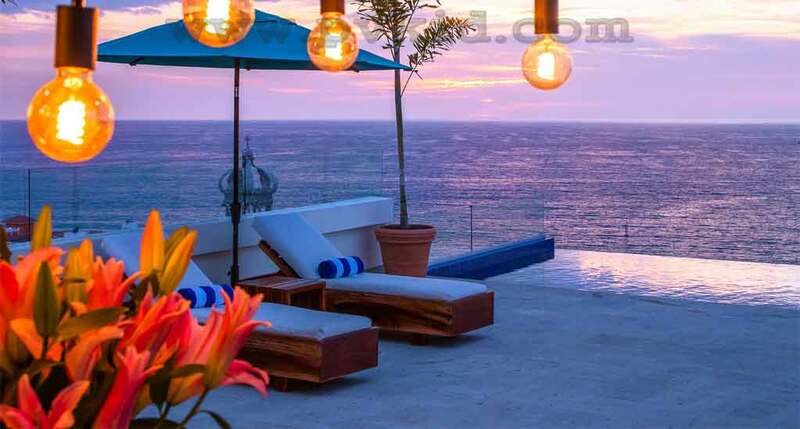 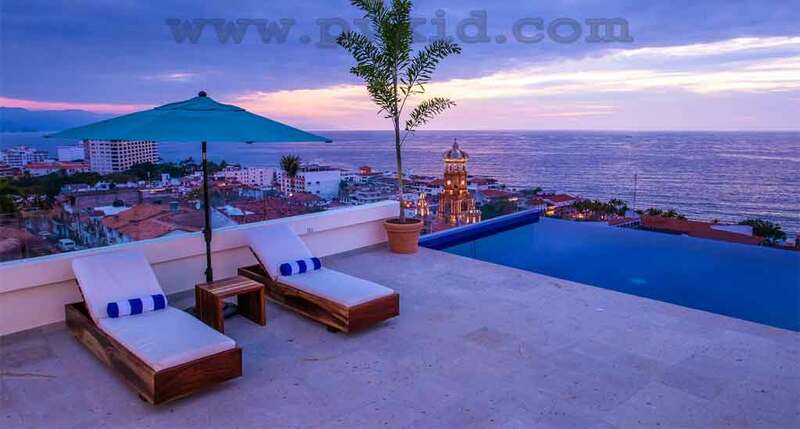 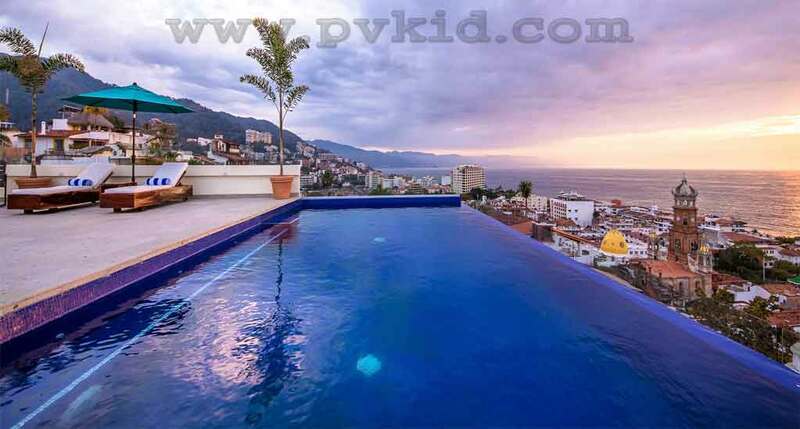 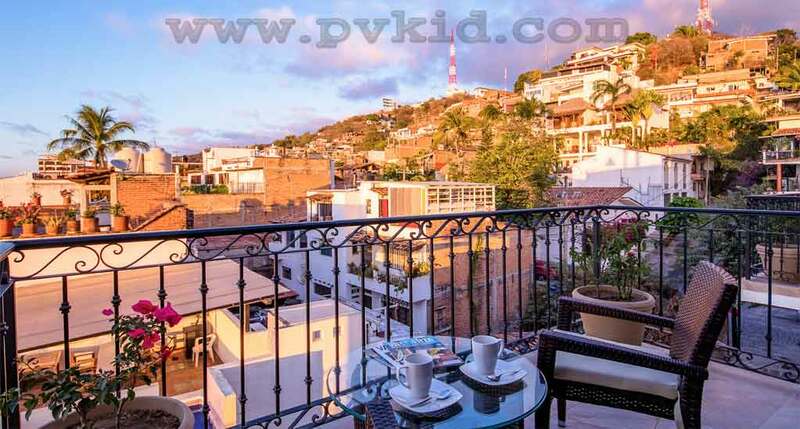 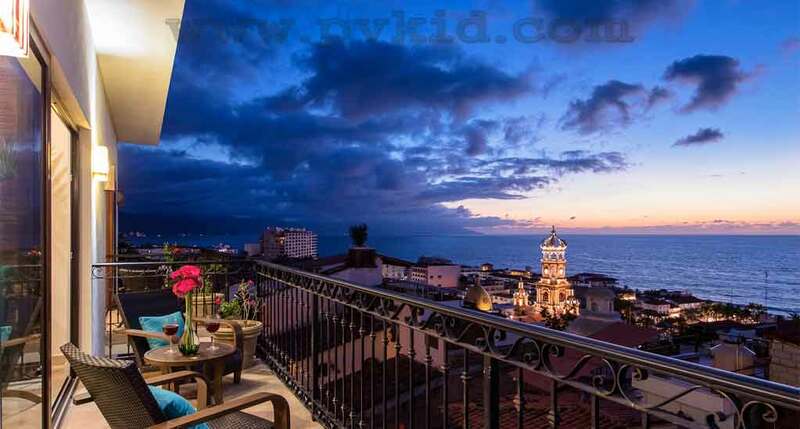 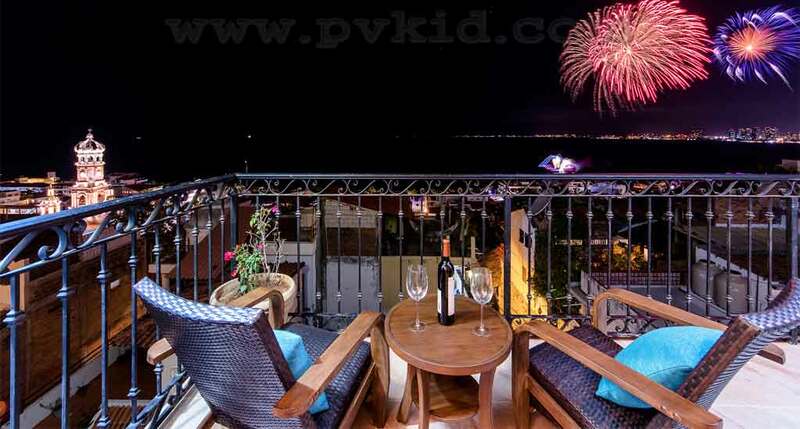 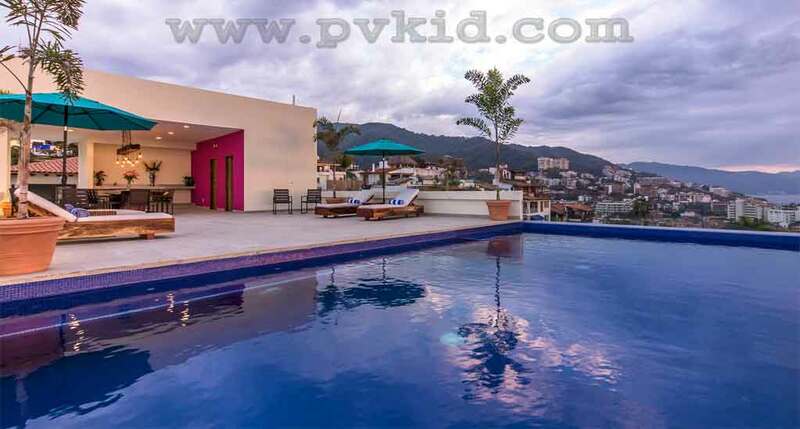 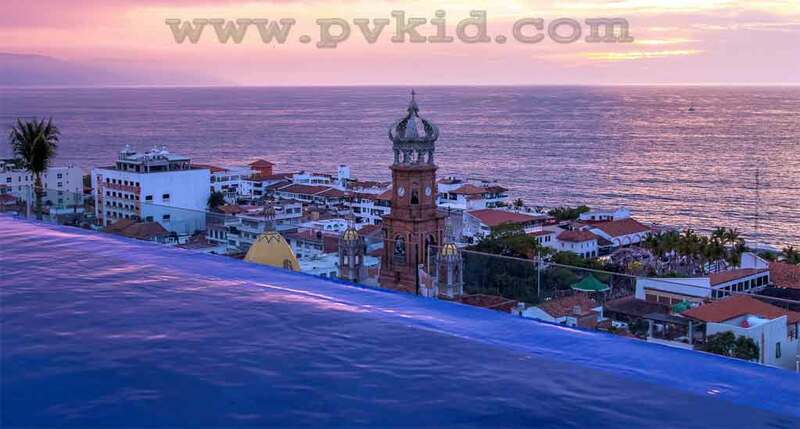 This unit also has a spacious balcony that offers front row seats to Puerto Vallarta’s spectacular sunsets! 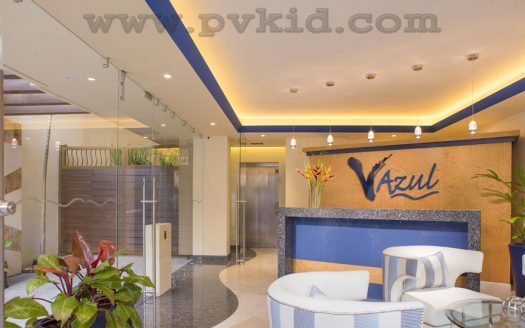 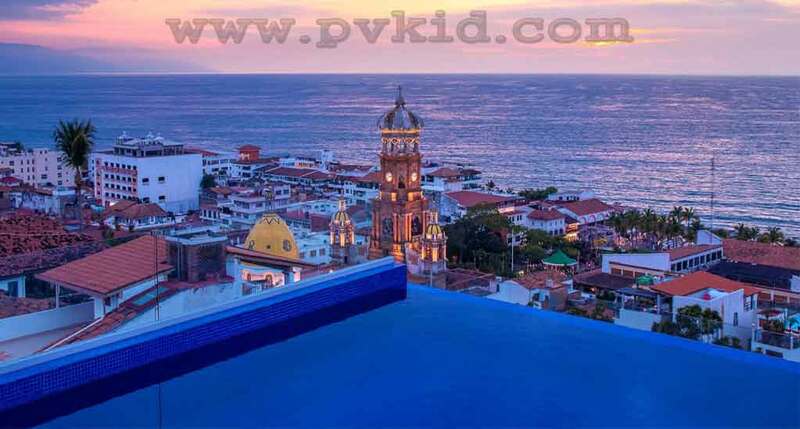 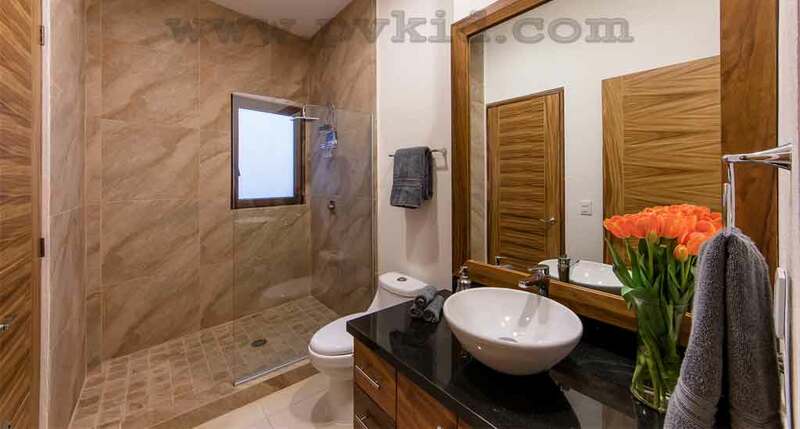 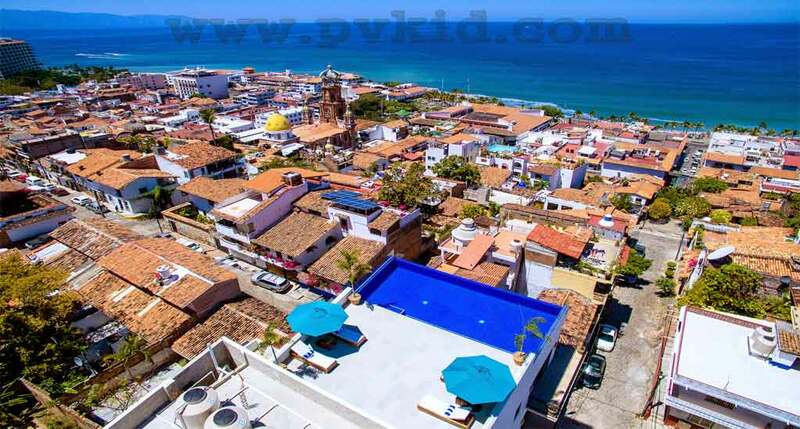 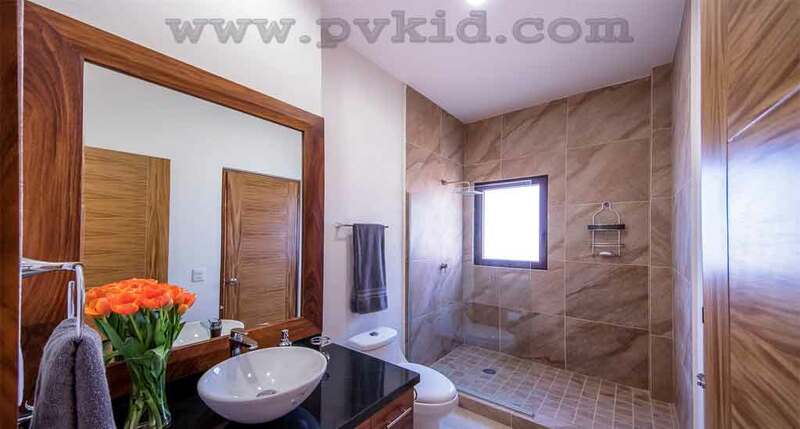 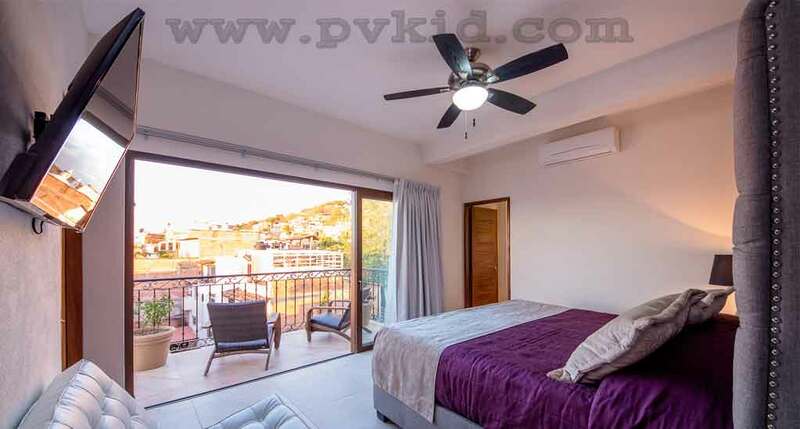 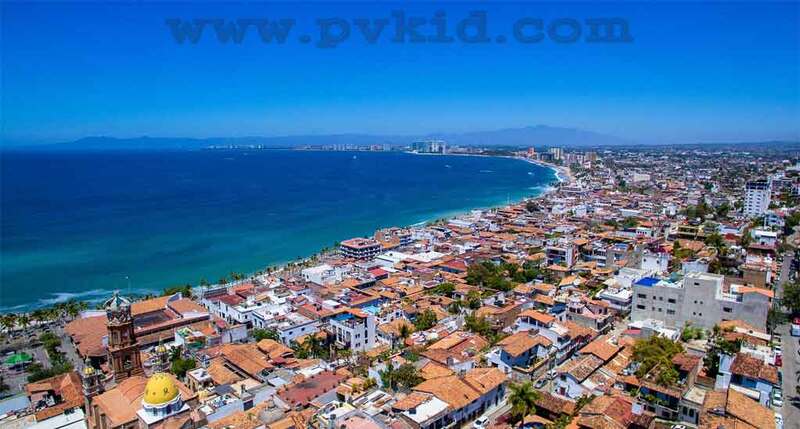 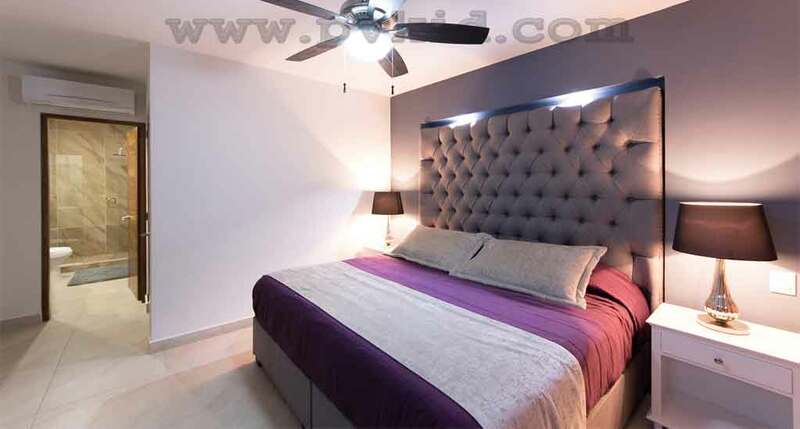 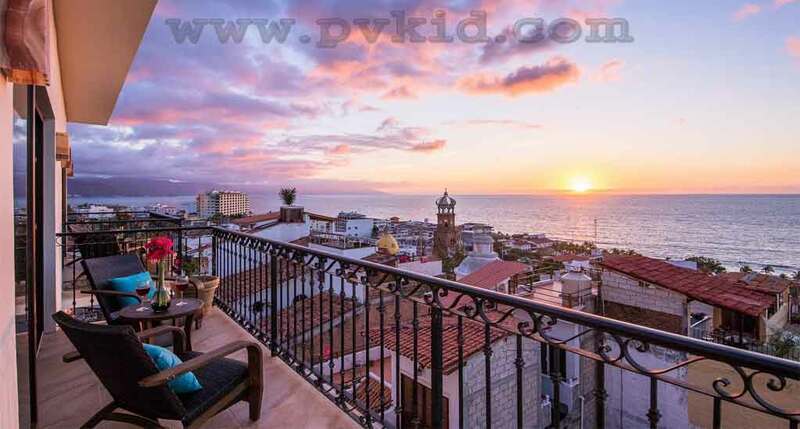 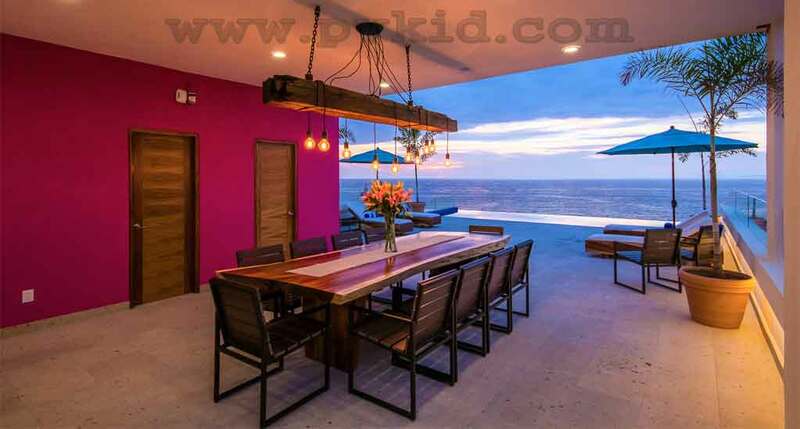 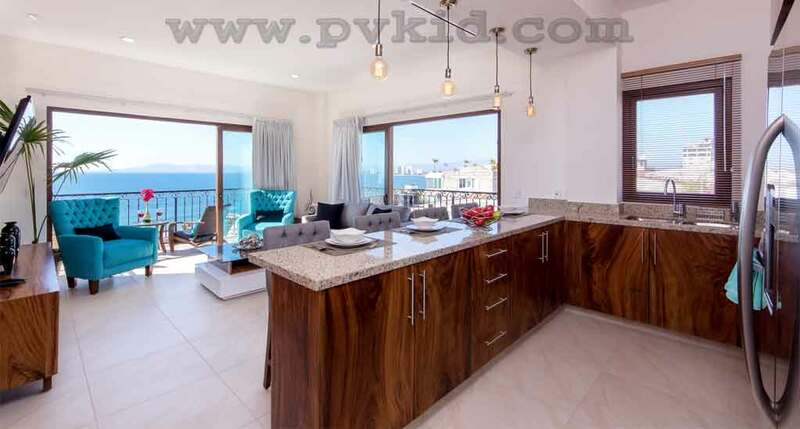 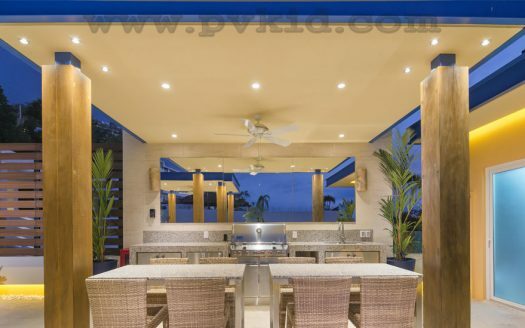 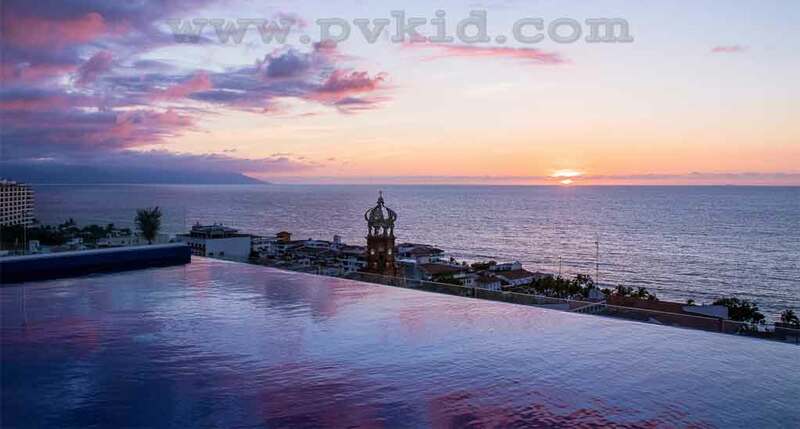 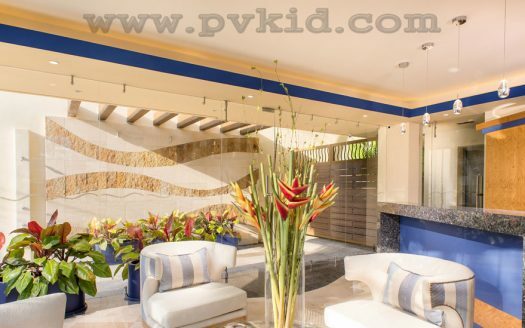 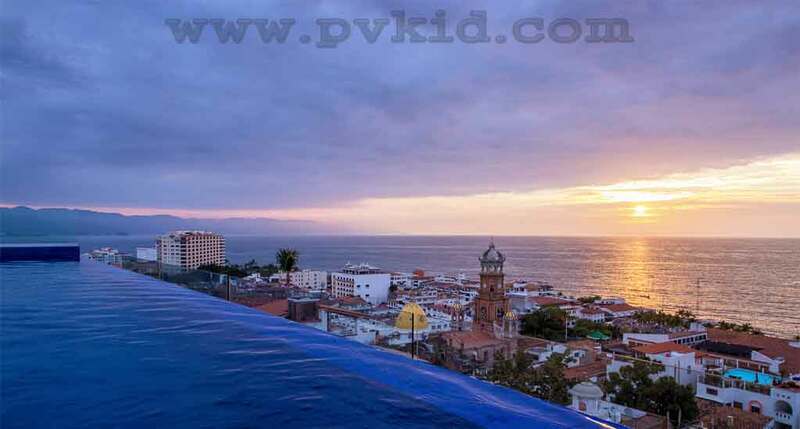 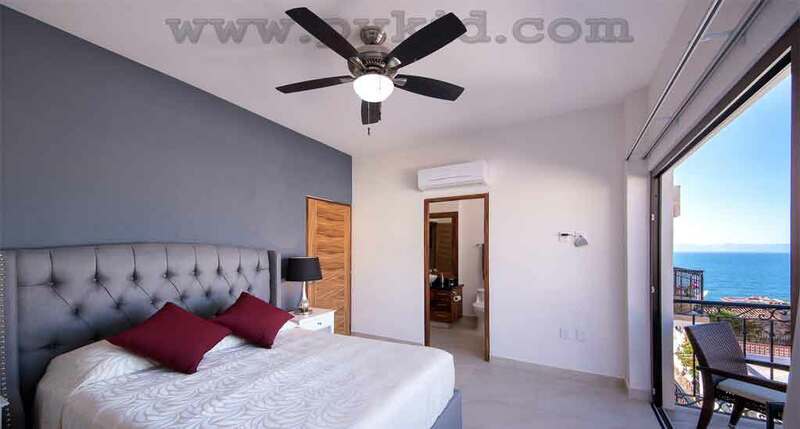 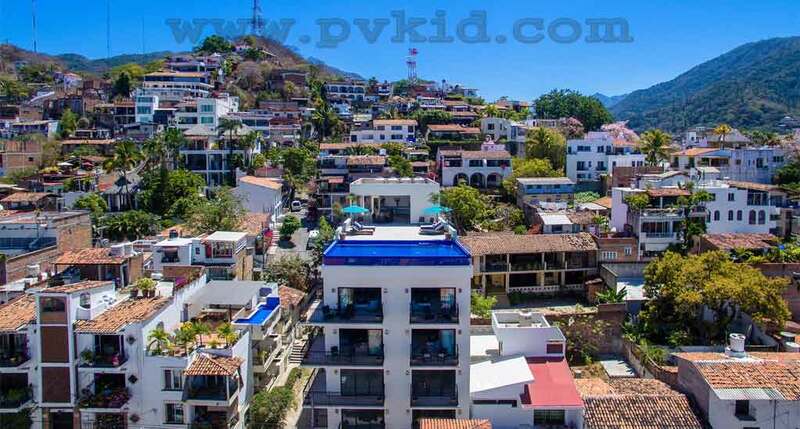 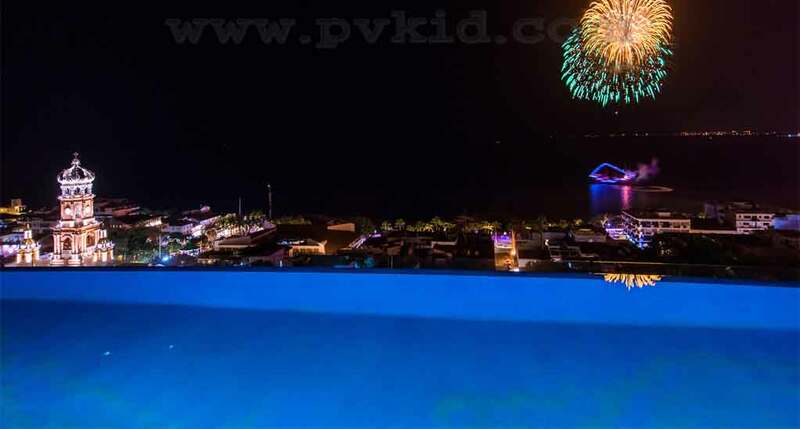 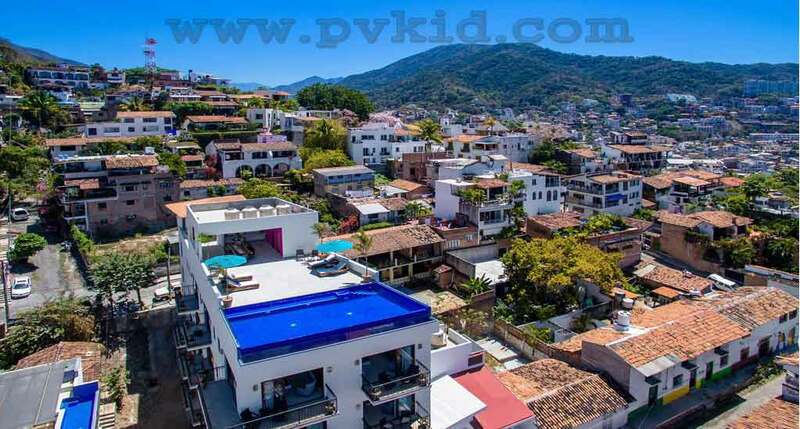 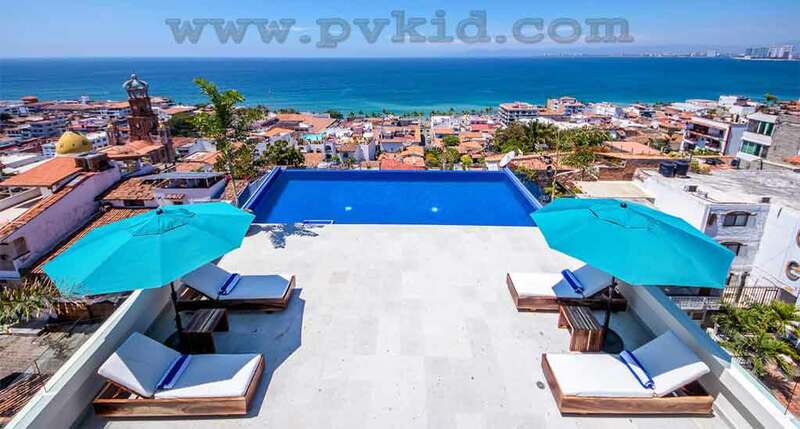 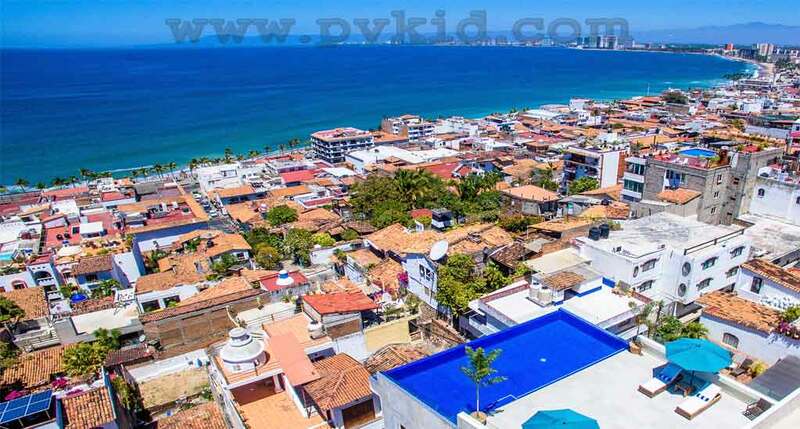 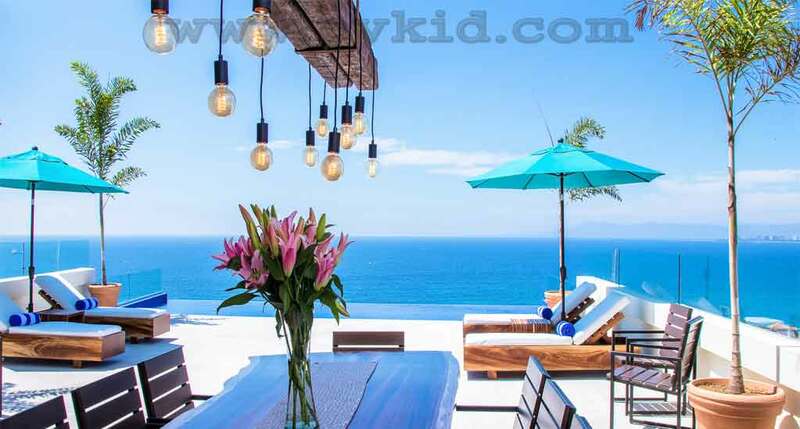 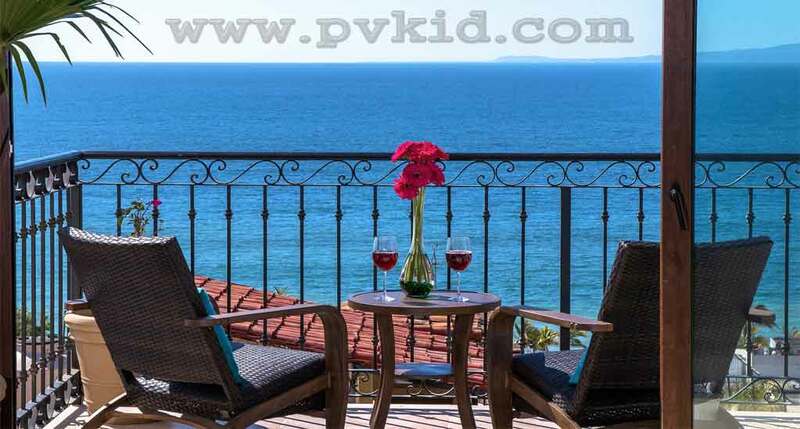 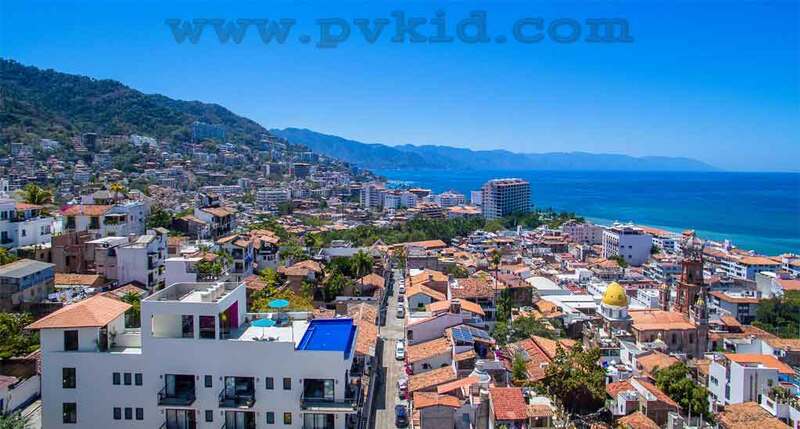 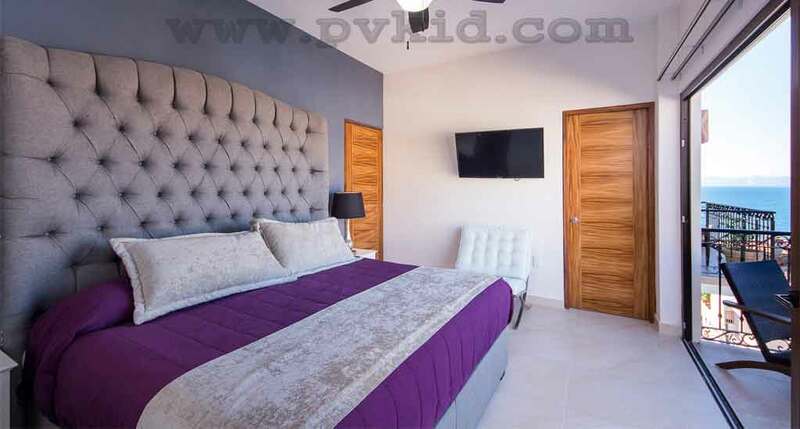 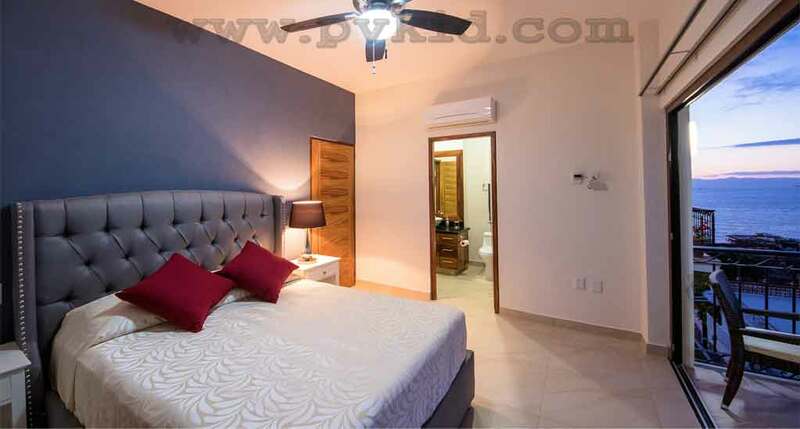 5 minute walk to main square & restaurants, 10 minute drive to beach & grocery store, 5 minute walk to: Board walk, Cathedral, Clinic, Hospital, 10 minute drive to tennis courts, 20 minute drive to airport, 30 minute drive to Vista Vallarta golf course.